Kelite Valve is specialized in manufacturing Manual Knife Gate Valve with following good characteristics: good sealing performance, reliable safety guarantee, Long working life. completitive cost and 24 hours after sale services and etc. 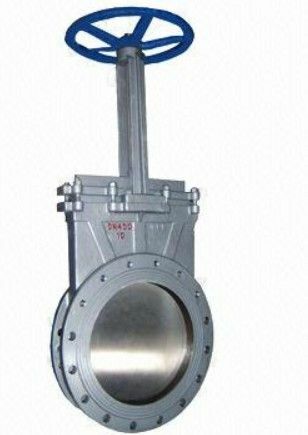 The Manual Knife Gate Valve is a unidirectional wafer knife edge gate valve used on industrial pipeline for on-off operation. The structure of body and seat eliminates clogging shutoff for flow with fine particles. Additionally, beveled knife edge helps the gate cut through thick media easily. According to different working situation: non-rising stem Knife Gate Valve, wafer Knife Gate Valve, lugged Knife Gate Valve, pneumatic Knife Gate Valve, electric Knife Gate Valve, manual Knife Gate Valve are all available. Guide claws design at the port bottom for gate fixture, instead of a groove, eliminates any potential clogging when valve shutoff. Integral body design ensures smooth flow, easy assembly and smaller shell leakage possibility. Beveled knife edge provides strong cutting stress and tight sealing. PTFE resilient point guider above the port prevents metal-metal contact between gate and body. Gate thickness can be increased to meet higher pressure. 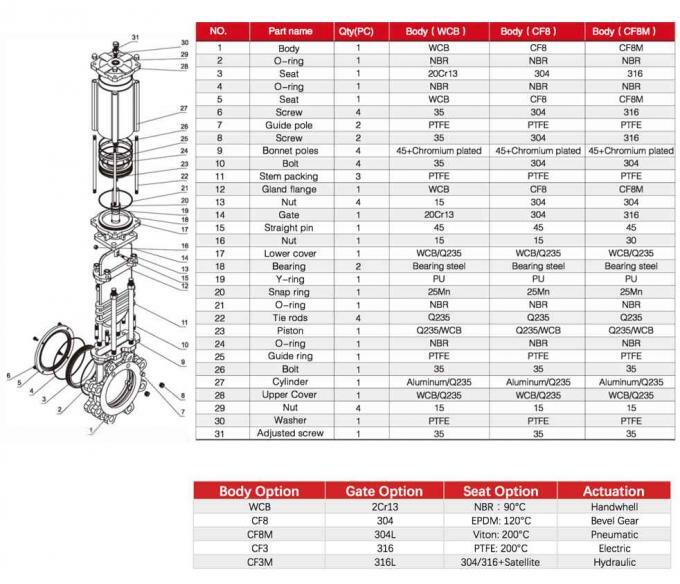 Side-entry seat is replaceable, reducing the cost of maintenance. Preloaded seat is adjustable to meet different sealing class and compensate normal seat wear. Double thrust bearing minimize the torque required for operation.